If you’re looking for an asphalt driveway installation in Stormville NY, then George Hartshorn paving is the clear choice for the past two generations. Serving Putnam, Dutchess and Westchester counties in New York, George Hartshorn paving delivers driveways that outlast the rest. The reason why we continue to go back to Hartshorn Paving for all of our residential and commercial properties is because we know we put it down once I don’t have to have it repaired every other year. The crew knows what they’re doing. 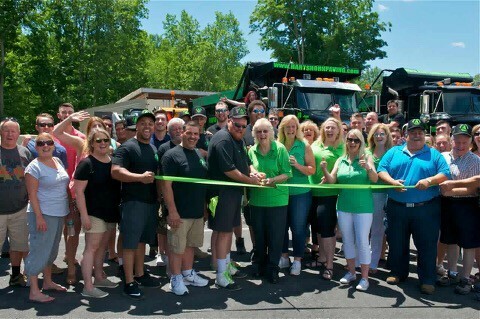 We have many clients Stormville, NY and we really don’t do any advertising… It’s word-of-mouth that keeps this all going for two hard-working generations of paving and asphalt installations. We have plenty of pictures and samples to look at, and we’d be more than willing to come on up to Stormville to give you a measurement and a complementary quote. We’re so confident that you’ll go with us that we’re willing to do all of this before you give us a dollar, or sign a piece of paper.